Protecting the environment while producing our harvest has always been important to 4Earth Farms and our farming partners. We are dedicated to being good stewards of our planet while producing its bounty. 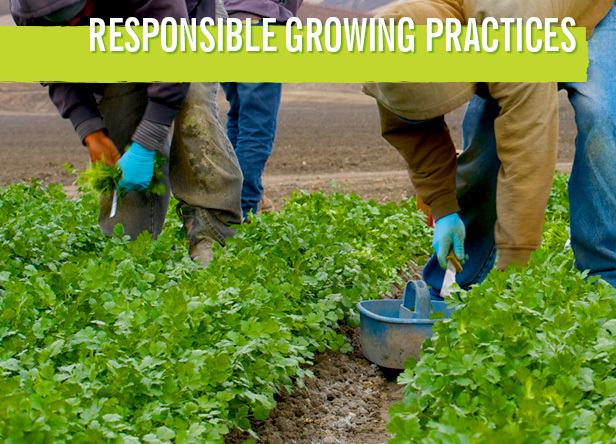 We work tirelessly to employ new and existing farming techniques to limit pesticide and herbicide use on our farms. We grow both organically and conventionally, and employ many of our organic farming practices to our conventional farms to help reduce our reliance on non-organic farming inputs. Our farming practices include low input sustainable agricultural techniques, also known as “LISA”, which strive to keep our farms as natural as possible. We also use predator insects and “soft pesticides” that target harmful pests but don’t hurt beneficial insect populations. 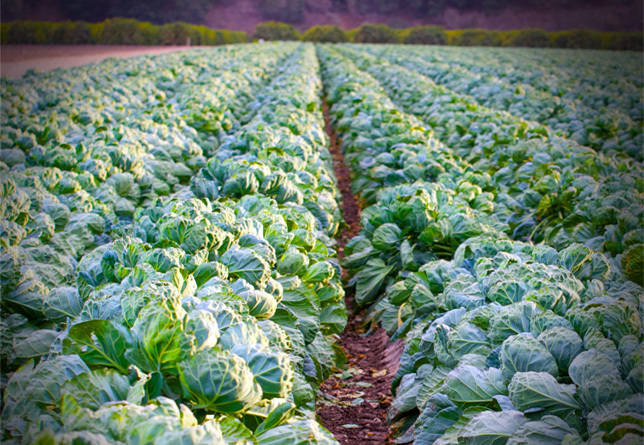 We use modern drip irrigation technology to preserve water and minimize soil erosion. Responsible farming. Sustainable practices.Safe and wholesome produce. These are not simply goals for us… they are our tenants. We are always looking for ways to reduce our carbon footprint. 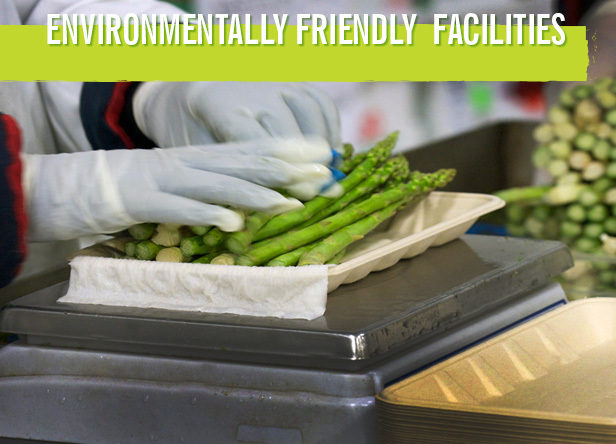 Our state of the art facility features cutting edge “green” technologies, including energy saving water treatment and refrigeration, and installed motion-activated LED lighting throughout our offices and distribution center. 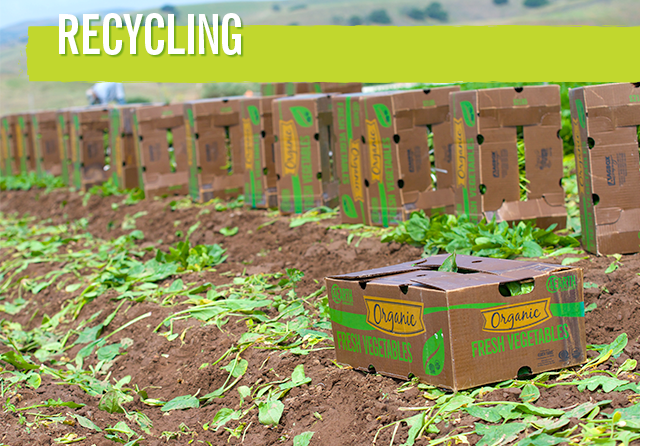 4Earth Farms utilizes earth-friendly field boxes and recycling hundreds of thousands of pounds of corrugate every year. In many of our fields, we use Reusable Plastic Containers (RPCs) in place of corrugate. 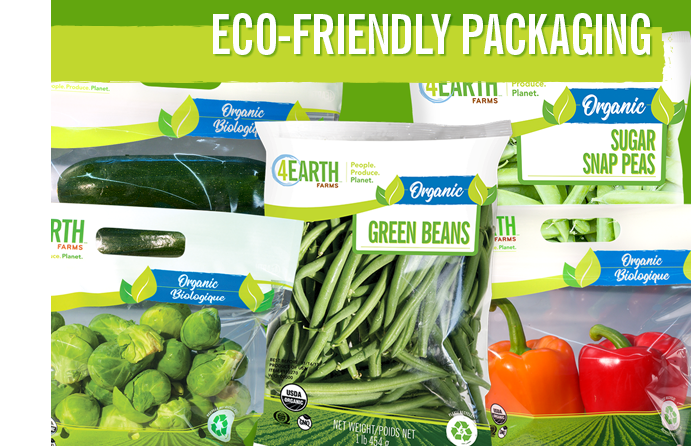 All the packaging we send to market is made from recyclable PET or PolyProp materials as well as trays made from post consumer pulp. Please continue the cycle of sustainability by recycling that packaging in its dedicated bin.